After a long, long day of knocking doors, it´s only three o´clock in the afternoon (which can tell you how long of a day it felt like), and we were catching a bus. My sweet companion and I had plans to look up an inactive member who the ward told us to go see. Since my new area had two baptisms last transfer, and those two now-members were the only progressing investigators, we have been doing a lot of finding. That is good, because up until now I have been scared to death of knocking doors in Holland. But now, I find it very, very energizing. You just smile and when they say no thank you and all that, you still smile and say “Ok, well, fijne dag!” Ok, well have a great day! Anyway, we caught the bus, found the right stop, got off, walked to the inactive member´s house and found out she wasn´t home. No one on her street was. Which was strange for Holland at that time of day, but oh well. It happens. I look at my companion, ready to suggest we take the bus all the way back to the apartment and have an early dinner, maybe take a nap. My Dutch was getting mixed up and my head was starting to hurt. The sun was shining beautifully, but making us both uncomfortably sweaty and exhausted (no public drinking fountains or free public restrooms, so no water bottles). But, we both knew that we couldn´t do that. I sighed and grudgingly started walking around the corner to a new street, one Zr Robbins said hadn´t been knocked yet. I said a prayer and asked for help. I didn´t know what to say at doors; usually I would just open my mouth and words would come out. But, for the first couple of doors on this new street, that wasn´t happening. Most of the people would tell me I could speak English if I wanted. Most of them slammed the door and shook their head. Some of them wouldn´t even listen to my stuttering, but put up their hand and say “Nee, dank u wel.” No, thank you very much. I prayed harder to know what to do. Surely these people needed to see us, if no speak to us–but was this wasting the Lord´s time, if no one would listen? I had no idea what to do or think besides think that the Dutch are hard and unresponsive and unwilling to change or listen to new ideas. After my prayer, I was slightly chastised. If I wanted these people to listen to two young women in the warm sun, wearing long skirts and black nametags, carrying a large book with gold lettering on it, then I needed to also listen. I chuckled and wondered why no one can ever understand my Dutch. I prayed again for words and clarity and a non-american accent. I started again, but he shook his head. I was waiting for the Nee, Dank u Wel, and the slamming of the door. I was ready to turn my shoes and start walking to the next door. I started explaining again who we were, but he stopped me again. I smiled at Zr Robbins and we began the conversation, touching all the points in every lesson in Preach My Gospel. No joke. We taught him the plan of salvation, and he had so many questions. We taught him about Joseph Smith and about Thomas S. Monson. We taught him about the Book of Mormon, and he took a copy! We taught him about the Word of Wisdom and tithing and how we fast and why. We told him about leaving our families. We taught him about Jesus and how important he is. The man had so many questions and wanted our opinion on so many things. At the end–2 and a half hours later–he said, “Now, what was that about a card and website?” I laughed and said it could answer more questions if he had any while he was reading. We left and I felt peace and a calm in my heart. The Lord had taught me to listen, and I did! If I hadn´t, we wouldn´t have knocked that door and maybe not had that conversation with him! My bike has it´s first flat tire. Ugh. No fun. BUT, I experienced achterroeping for the first time. It´s where you sit on the back of your companion´s bike while she pedals. It´s wonderfully fun and scary. But cool. To get on, though, you have to jump on while the person who is biking is moving, so it´s a guessing game. But apparently I´m good at it! haha. yup. fun fun. Also, saying good bye to Den Haag and my district there was sad. 😦 but I know for sure I will see the sisters again in September/October, so yeah. Oh Den Haag. Special place in my heart! Lucie has a beautiful sewing machine! ALSO—-Her and her daughter Rosanne are getting baptized 23 may!!!!! YES! I am so excited!!! Zr Robbins is literally a miracle! She and I have got along great! It´s such a blessing! Ha ha, well, I did get a sort of stomach flu last Wednesday night to Saturday morning, but, hey, I´m alive and I´m great! 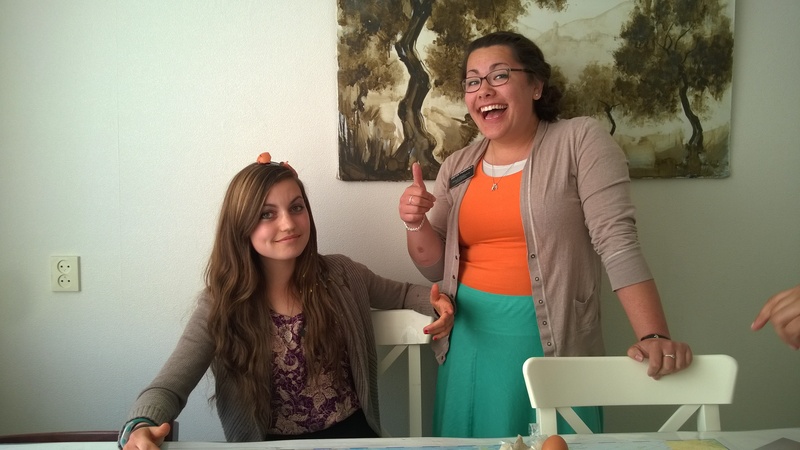 Cracking an egg on Zuster Riley’s head for an object lesson! Also, Zr Young and I worked at Wouters Farm together! I might have mentioned that… maybe not. 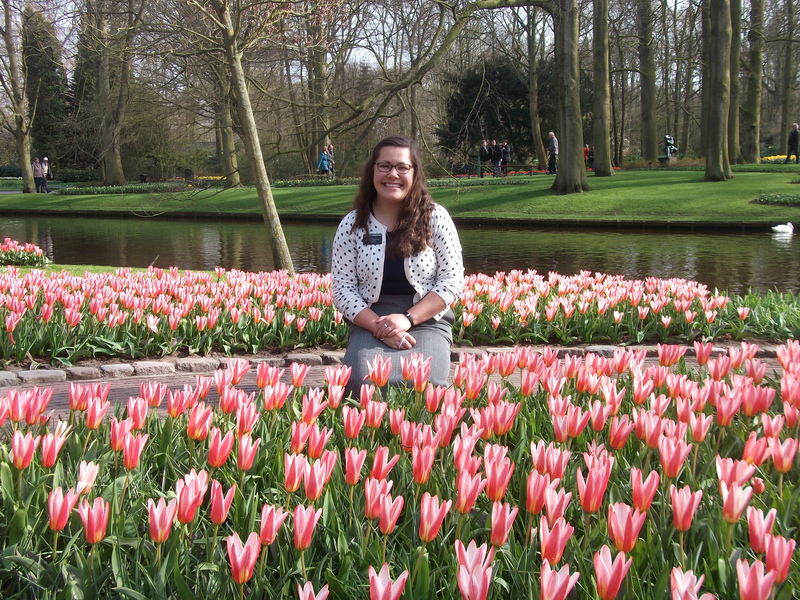 After the temple, we went to Keukenhof! 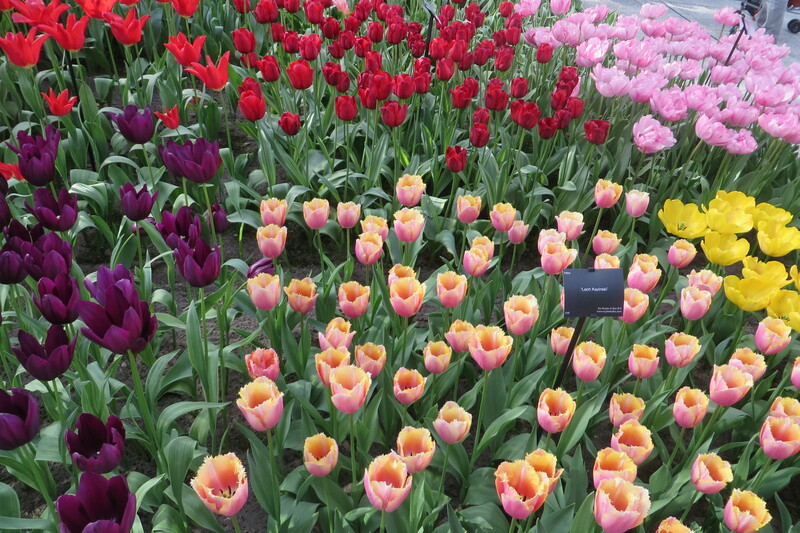 A beautiful place full of FLOWERS! Tulips, lillies, orchids, and sooooooo many other kinds that I was thinking, “Nery! We should order these!” haha, Nery is my backdoor neighbor and she’ll understand what I’m talking about:) haha man, I loved that place. Good times:) Beautiful times! 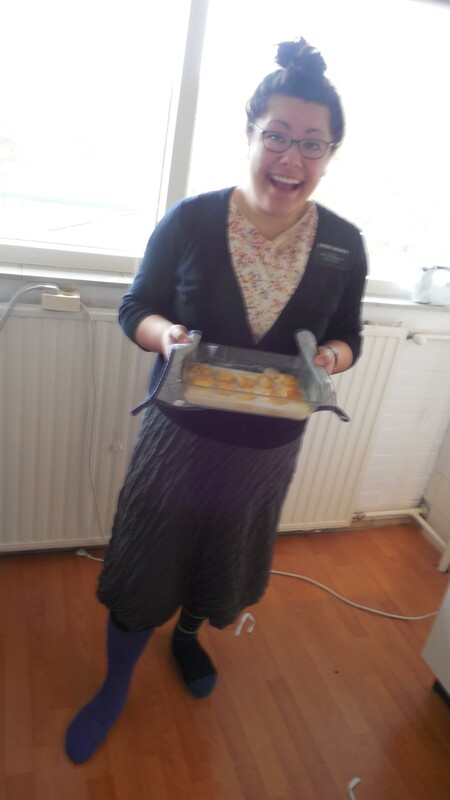 Well, then Zr Riley, Elder Harrop, Elder Thomas and I went to Wouter’s (my last time! Ah! so sad.) And that was fantastic–it took 2 hours to clear a single stall of poop! Talk about callouses on your hands! Haha, and a very, very bad smell following you. Baha, very fun, though. Wouter is an amazing person and I promised I would go back and help him (and take you, Dad!) and he said I’m always welcome–woot! 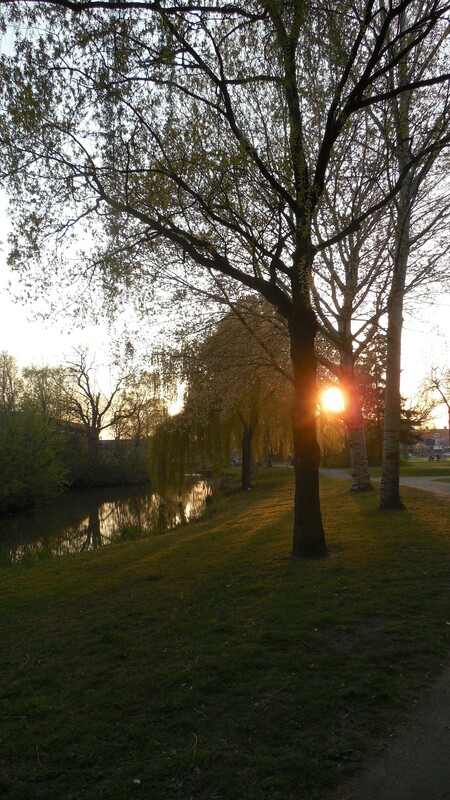 I’m going to Breda! I will be working with Zr Robbins, another Sister Training Leader over the Eindhoven Zone. 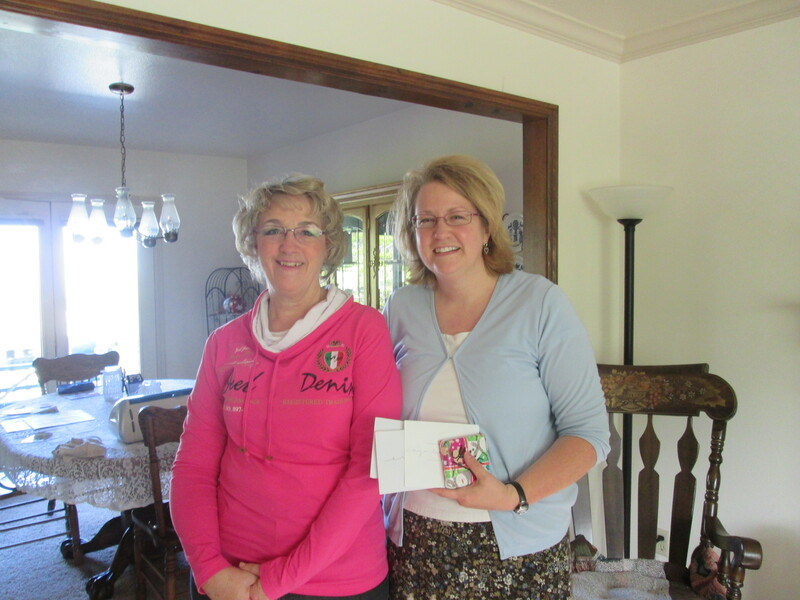 She is the same mission age as Zr Thomas and I have met her a couple times at Zrs and Temple Conf–I love her already! So excited! 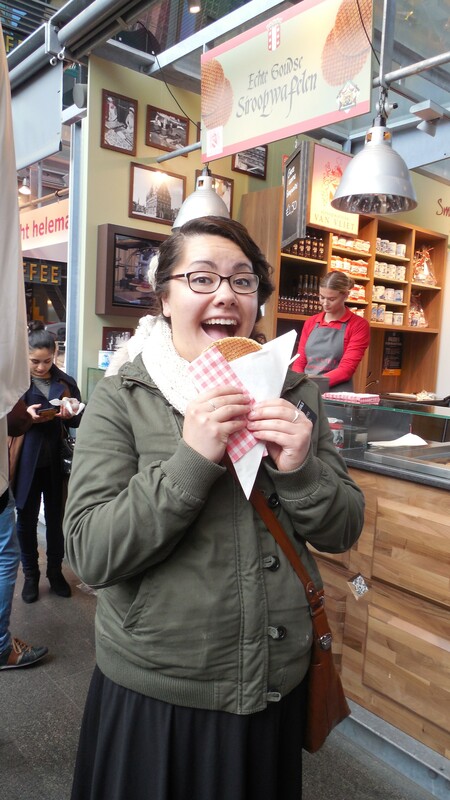 The Dutch is a bit different there because it’s more southern in the Netherlands (I am leaving the region they call Holland), but I am SO excited!!! Woot! Gotta go pack now, but…. tot ziens, I’ll be in a different place next week! Whoa. Weird. Love you! Two amazing phone calls on the same day! 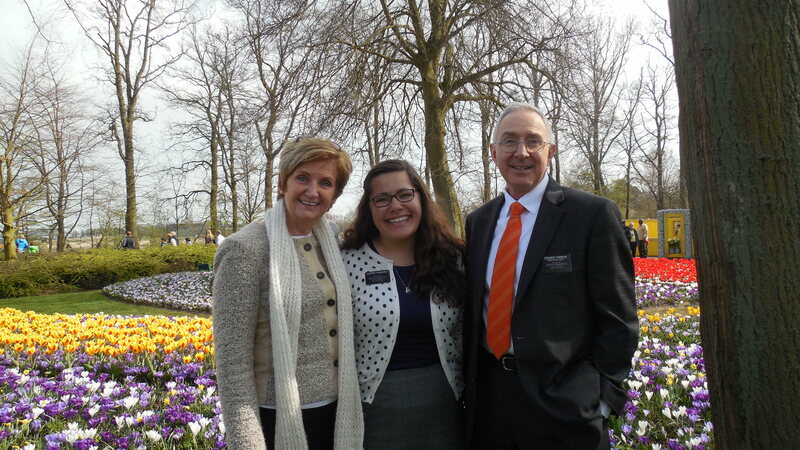 Two amazing women from Utah who traveled to Holland, never met each other, but each met our daughter, Jessica, who is serving in the Zoetermeer area. At the beginning of Jessica’s mission I heard of a parent who received a text message from a member who wanted to send a photo to let the parents know their daughter was doing well. I SO wanted to receive one of those texts! And I did! Then another, then another. Then an email with photos attached and then another email from a different person with photos! 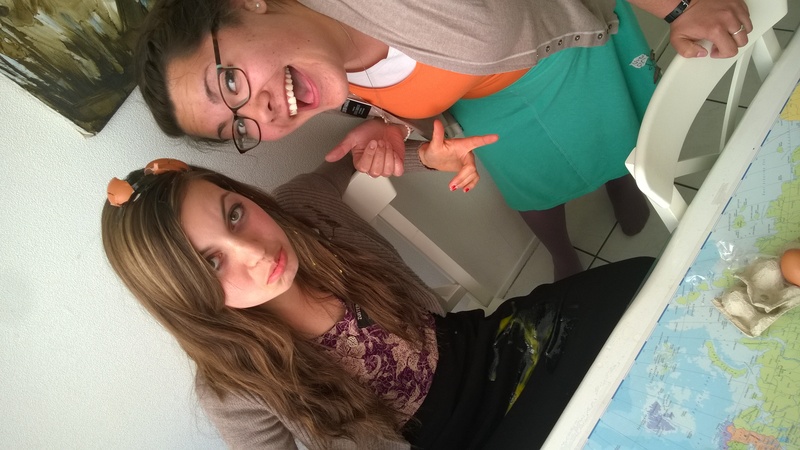 Ask and ye shall receive………..
Lisa went to Zoetermeer to visit her son and met Jess at church. Lisa offered to bring something home for us. Jess sent her with this little windmill and some chocolate! Lisa grew up in Woods Cross and had that instant connection with Jess. I was touched by her words, “The minute I met your daughter, I felt like I’d known her forever.” Thank you, Lisa!!! Later that same day I received a phone call from Johanna. 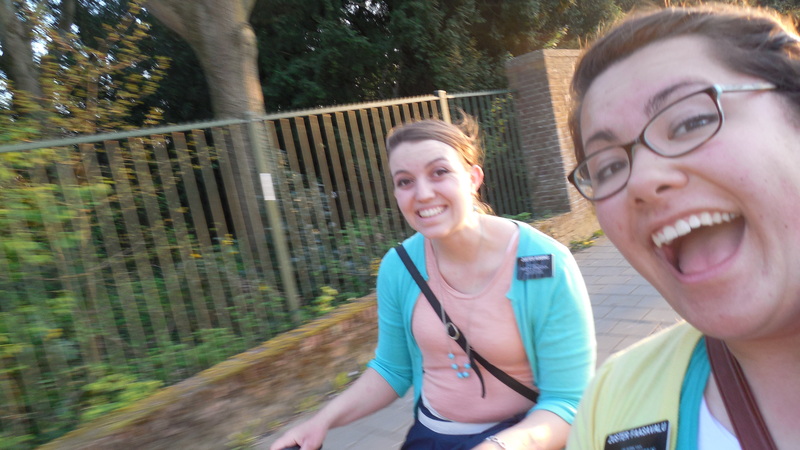 She was in Zoetermeer visiting family and spent 3 Sundays with Jess. She brought us each a letter and a little package for Jake. Thank you Johanna!!!! 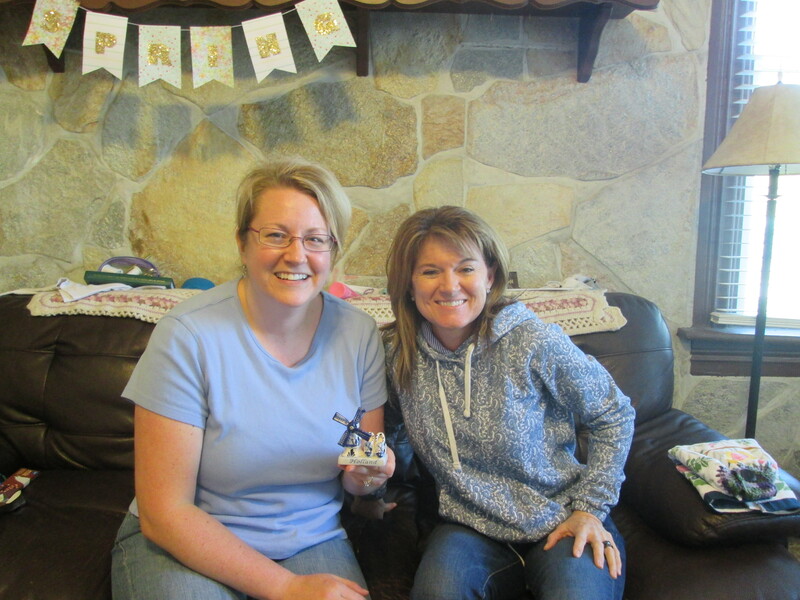 Friends Reunited, Share your talents and Scoop Poop! She still doesn’t match her socks! Well well well, what a week!! Family!!!! 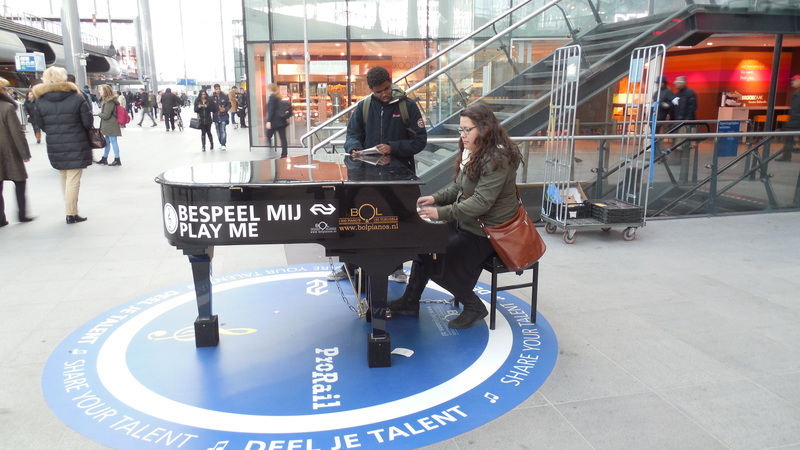 First–PIANO– in Den Haag Centraal (aka train station), they have a [very expensive and nice] grand piano that I was dying to play. 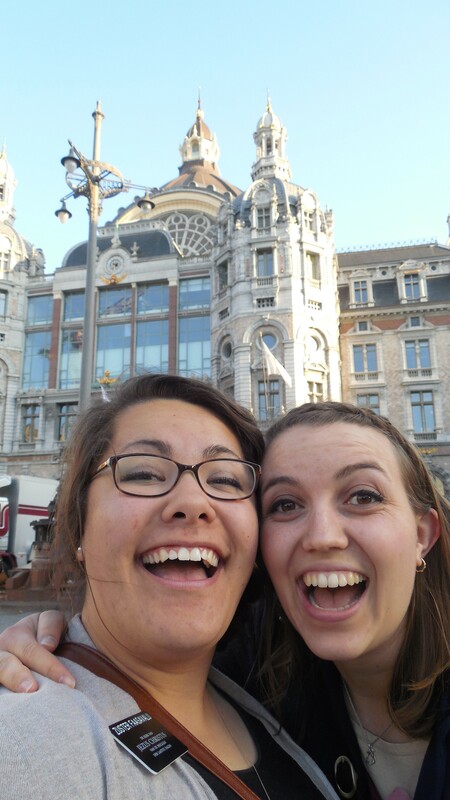 We had just gone to look up an inactive in Den Haag and were on our way back. I asked Zr Riley if I could play one song and she allowed me to (haha) and while I was playing Come Thou Fount and Amazing Grace, a Surinaamse guy (maybe 18 years old) came up to the piano and started singing along. He was not singing either of the songs I was playing, but making some sort of strange improv thing…yeah, weird, but I laughed and played louder, so he sang louder and, well, it was cool! He asked me if I knew some other songs, and I didn’t, but he said play that one (Come Thou Fount) again. I did and he said “How does it go?” I started to sing the correct words and this guy started doing harmonies that made me cringe a little. He didn’t notice, just kept singing. I ended the arrangement and stood up, but he said “No, no, sit back down! !” I chuckled and gladly sat down, but had no more hymns in my head. 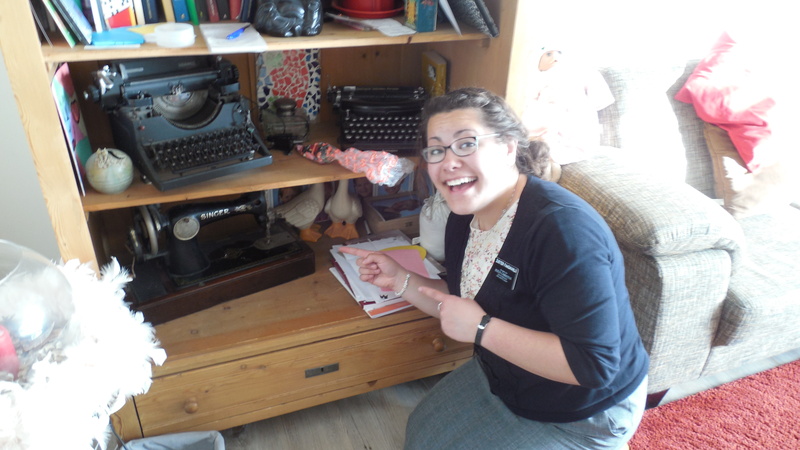 It was the only time since the MTC that I didn’t have one of my hymnbooks on me! I was so mad! The one time I needed it and I didn’t have it. But I sat down and something came out of my fingers. The guy started singing again and I just had to hold my breath and keep playing. I ended that song and he said, “Wow” Then I stood up and gave him a card. Zr Riley came over and we talked to him for a minute about why we’re here. We found out he’s a student in Den Haag and is interested in our music (hymns)—ah! 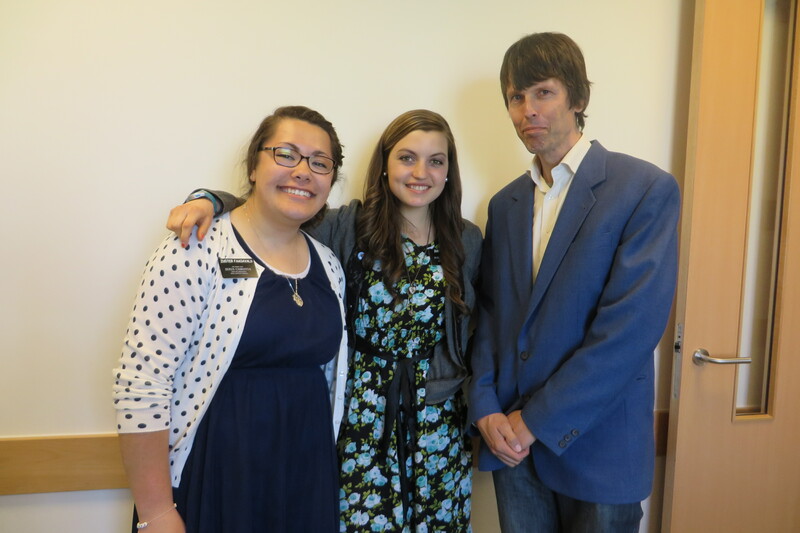 So, we gave him a Book of Mormon and our card and then he played for us! It was improv and the chords were strange, but he had such passion in his playing and his voice that I felt his love for music, strange and dissonant though it may be. Third–POOPER SCOOPERS– Wouter’s with Zr Young!! Zr Riley and Zr Thomas went to the Mission Home for a leadership training, so Zr Young and I spent the whole day in Zoetermeer! 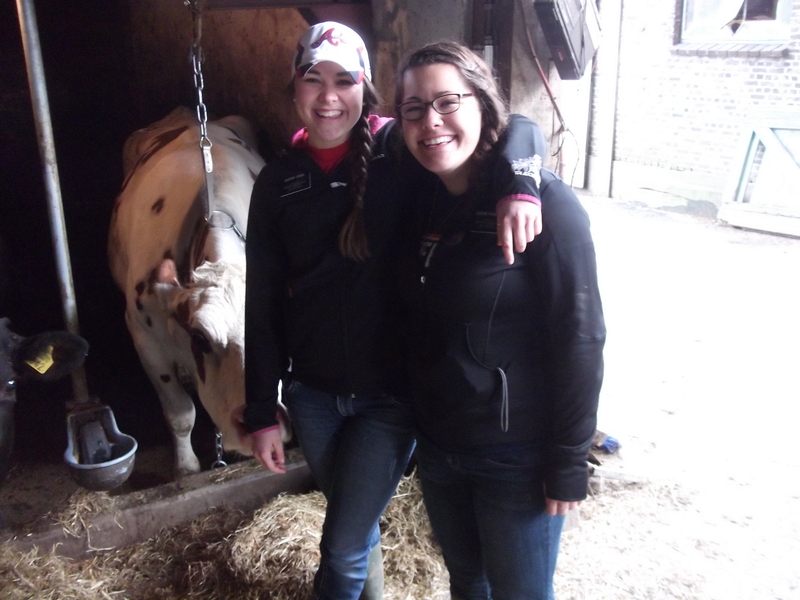 What a blessing that sister is to me:) We woke up and went straight to Wouter’s farm and helped with the cows! 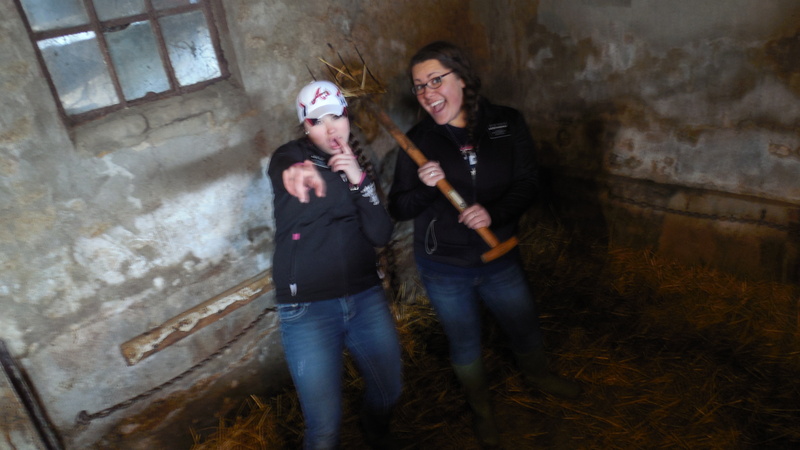 But, instead of working directly with the cows, we were the designated pooper scoopers! Bahahaha! 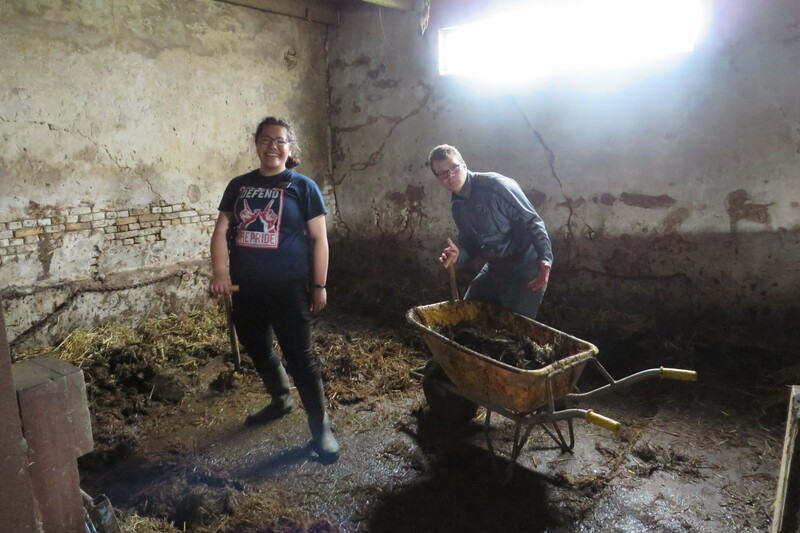 Zr Young got a photo of us standing in ankle-deep cow poop, so you’ll have to find it on her blog haha. Man, so much fun. I bought a small loud speaker and turned on my ipod and we were serenaded with hymns while shoveling poop and poop-covered straw into a wheel burrow. Lovely day. 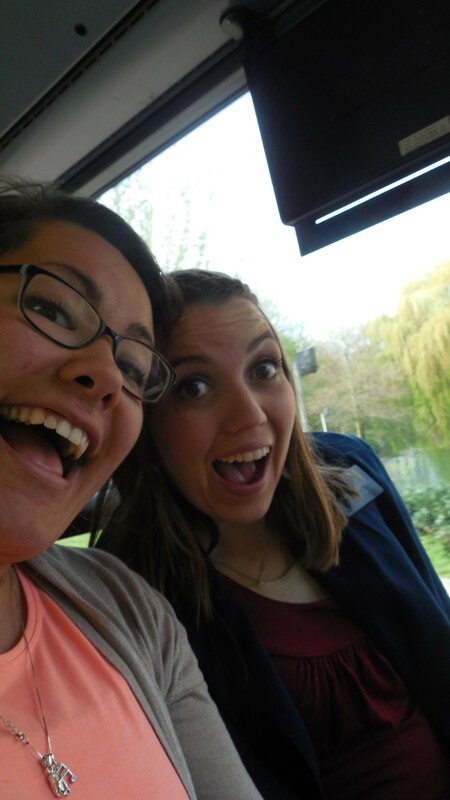 Then we went back to the apartment and showered and studied and went to Bagels & Beans for lunch, then finished our lunch break on a bench across from the Temple:) We contacted people, almost taught a lesson, and went to the cutest most dangerous children’s book store in Holland. I spent some money…:) haha. It was a much needed, very good day. Fourth–CONFERENCE– Wow. 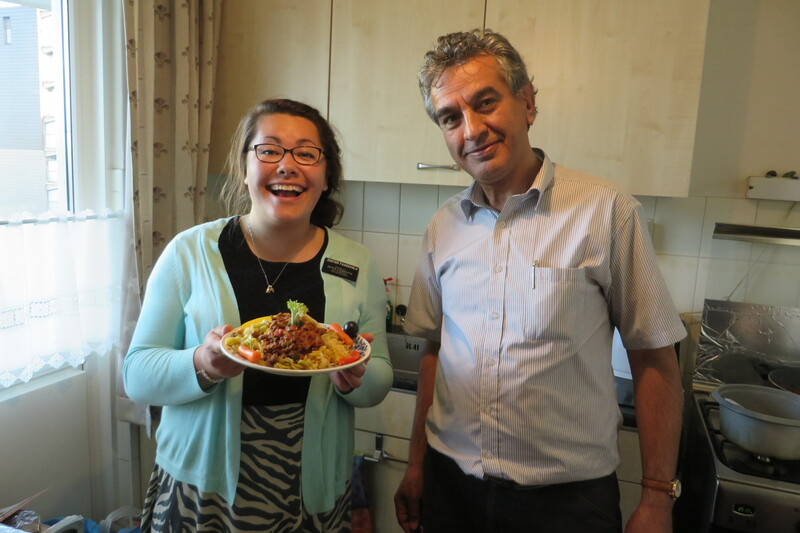 Because of the time difference, Conference for us went like this: the Saturday Morning Session (10am in UT) began for us at 6pm, and we watched it with Peter (recent convert from England, hilarious old man1 )and the Elders at Peter’s house. 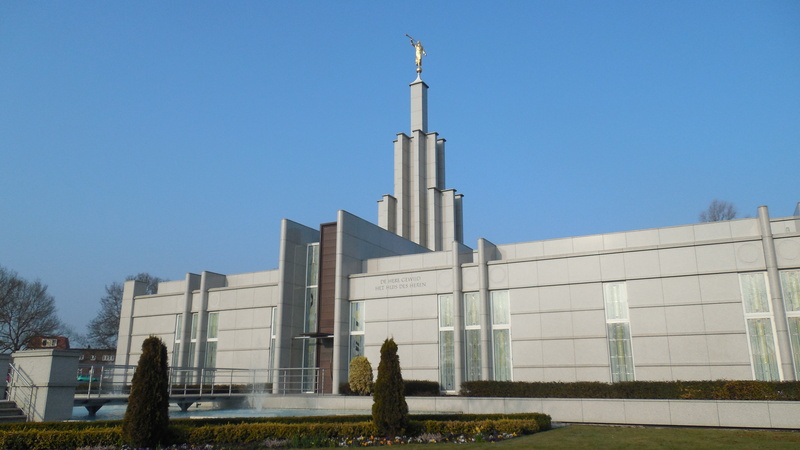 We watched a recording of the Saturday Afternoon Session at 2pm(holland) in Den Haag with the Den Haag stake (not many people came, actually, quite interesting) and President and Zr Robinson. Then we had dinner with the Den Haag ZrS (it was strange being in that apartment again, with Zr Bradley–I had many deja-vu moments–but, it was fun. Cereal for dinner! Haha. Then, at 6pm(holland) we watched the Sunday Morning Session live, plus Music and the Spoken Word:) I LOVED THE MUSIC TALK. And Elder Holland’s and President Uchtdorf’s! Wow! What a great conference! It was amusing to watch the three elders in my district who are leaving within one or two transfers squirm in their seats while all the marriage talks were given; talk about trunky!! Haha, it was funny. But I noticed that as a missionary, my ears and heart hear differently and think differently about the messages given. I thought about some of our people in Zoetermeer, and even a few in Den Haag during osme of the talks. I love these people and I wanted all of them to join us and listen to the prophets’ voices!!! Amazing, spiritual feasts! Here in Holland they have 2 Easter Days, and today is the 2nd. So everything will be closed and every one will be inside–but, that just makes pday even more peaceful and quiet and not so rushed and hectic. haha.